The shortfallhas emerged after Orkney Islands Council asked the Scottish Government for the required £6.8million funding to operate the interisland service between the Orkney mainland and 13 surrounding islands. A leading transport union has written to the First Minister demanding action over a £1.5million funding shortfall for Orkney’s vital inter-island ferries. The National Union of Rail, Maritime and Transport Workers (RMT), who represent staff members working on the service, has warned Nicola Sturgeon of the dire consequences the deficit will have, both in terms of service provision and the security of crew’s jobs. However, they were only granted £5.3million, a figure that was also £200,000 less than the previous year’s funding level. Mick Cash, general secretary of RMT, said: “For too long the Scottish Government have buried their heads in the sand when it comes to investment and resourcing of the life-line Orkney Ferry services and things have now come to a head as the toxic combination of factors threatens the very viability of the operation and the livelihoods of the staff who deliver it. “For the last five years, RMT has been repeatedly warning your Government of the dangers to our members’ terms and conditions from a perfect storm of ageing vessels, ageing crew and historic funding shortfalls on council-run Orkney Ferries. We are now approaching the very real prospect of service and job cuts, as a direct result of the Scottish Government’s failure to properly fund these lifeline ferry services for Orcadians. “RMT has made it clear that we will fight with every tool at our disposal any proposals that would impact negatively on both our members and the service to Orcadians. In response, Orkney Islands Council has increased fares on the inter-island service by 3%, a move the council reluctantly implemented in response to the funding announcement. 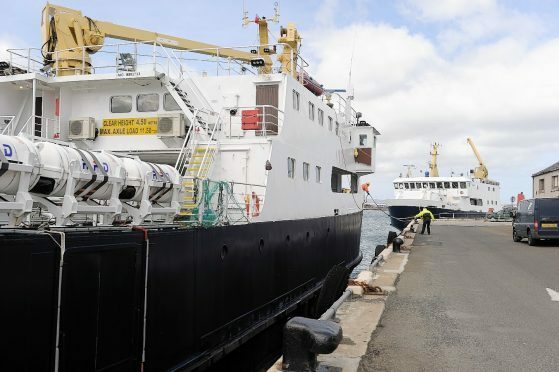 Orkney MSP Liam McArthur said: “Scottish Ministers have made no secret of the fact they are short-changing Orkney’s internal ferry service to the tune of £200,000 compared to last year. “The unions are absolutely right to warn of the risks in the SNP government’s approach. “For many fragile island communities, these services represent a lifeline that needs to be properly funded and delivered by a fleet that is fit for purpose. “Jobs are also under threat unless the First Minister and her colleagues face up to their responsibilities. A Scottish Government spokeswoman said: “Orkney Islands Council, which is responsible for the delivery of its internal ferry services, will receive almost £84 million for local services in 2019-20. Using council tax powers the council will also generate an additional £0.44 million to support the delivery of essential local services, meaning an extra £2.7 million next year. “This year’s budget has made available a further £10.5m in support for internal ferry services in Orkney and Shetland, bringing the total additional support provided in the last two years to £21 million. Part of last year’s extra funding from the Scottish Government was used by Orkney Islands Council to give ferry staff an above inflation pay rise of 11%. “Transport Scotland continues to be part of a working group to establish a long term solution in the provision of the internal ferry services‎ – a long-standing challenge to be addressed that arises from decisions taken prior to the re-establishment of the Scottish Parliament.